When ladies meet up for lunch, it’s about more than good food. Girlfriends seek out establishments with atmospheres conducive to conversation. They want to talk and catch up on things without the imposition of televisions blaring the latest sports trivia and loud music insisting they shout at each other. 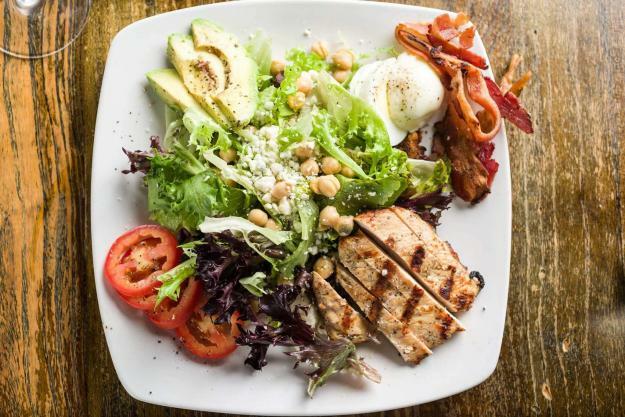 When it comes to menus, the girlfriends also tend to patronize restaurants with healthy options. So where do ladies eat lunch in Southwest Louisiana? Peruse this list for ten popular suggestions. Are you looking to dine al fresco? Several area restaurants offer outdoor patios. Pop-up restaurant Garden Path Groceries serves lunch every Wednesday at the Historic Calcasieu Marine Bank courtyard. The menu changes weekly, but a popular regular feature is their Contraband Chicken Salad, as well as their Buddha Bowls, chock full of ingredients such as spinach, edamame, avocado, cucumber, broccoli, bell pepper, green onion, basil & nori on steamed rice. Who can resist the welcoming patio and tantalizing aromas at the Bekery? Rain or shine, Rebekah Hoffpauir’s talents in the kitchen lure you into her cozy shop. Whether for a sweet treat or a light lunch, you can’t go wrong. Try her chicken salad croissant or the tomato mozzarella pesto baguette. She also offers a variety of homemade soups and quiches. For dessert, splurge on a lemon, cinnamon, or blueberry scone or a decadent brownie. Luna Bar and Grill also offers an inviting patio to sit and chat with your bestie. Luna is well-known for their platter-sized salads and galactic-themed sandwiches. If you’re in a festive mood, accompany your meal with a libation from the bar, such as a lemon drop martini. Green House Salad Company is to salads what Subway is to sandwiches. It’s a salad bar delight! You can create your own salad from the list of dozens of ingredients or choose from any one of their ten signature salads. Kale-Yea! Some ladies might go to Lakeshore Café for the lovely view of Lake Charles from the fifth floor of the Capital One Building, but the food is good, as well! It’s a simple soup and sandwich shop with daily specials and a soup du jour and gumbo. 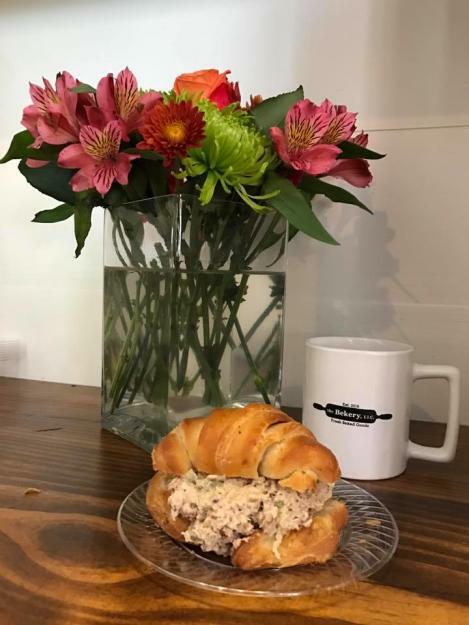 Chicken salad seems to top the list of ladies’ favorite lunch items, and Chez Caffé is yet another perfect place to enjoy this southern tradition. 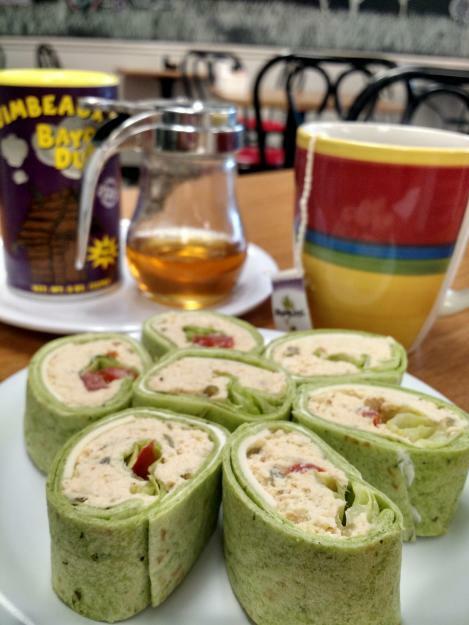 The Caffé also serves a variety of deli sandwiches, wraps, loaded potatoes, soups, salads, and a variety of teas and coffees. If you want an out-of-this-world good cup of coffee with your lunch, try Stellar Beans, voted one of Louisiana’s Coolest Coffee Shops by the website Best Things Louisiana. They serve a variety of gourmet sandwiches, salads, and soups. And, coffee. For an easygoing lunch experience, visit Pujo St. Café. Enjoy tasty Cajun and Creole dishes freshly prepared at this local favorite located in Historic Downtown Lake Charles where the building’s history is as rich as the food served. Guest favorites include creamy Shrimp Bisque (with plenty of shrimp!) and the Hollywood Salad; roasted tomatoes, feta cheese crumbles and spiced pecans over fresh baby greens. Well-established in the region, Harlequin is a lunchtime staple. They’re locally famous for steaks and seafood, and the ladies are especially fond of their salads. For heartier fare, try their 4-oz filet with creamed spinach and a side salad. At 121 Artisan Bistro, try their Mona Lisa, with large Gulf shrimp and lump crab meat in a light cream sauce over angel hair pasta, the shrimp and corn bisque, spicy tomato basil soup, or one of their several salads, such as Chicken Cobb. 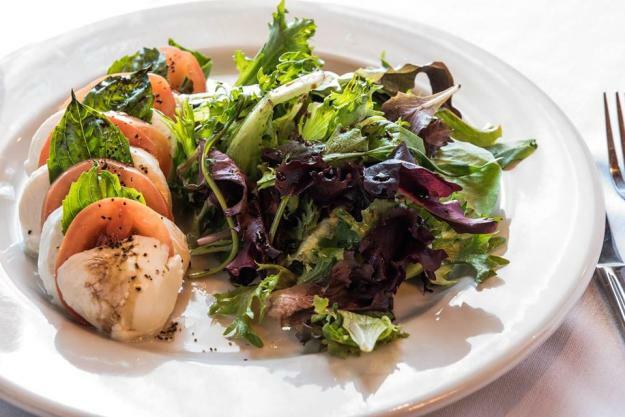 For a one-of-a-kind lunch experience, visit The Villa, one of Lake Charles’ few Italian establishments. Proprietor Mike Sperandeo says the ladies’ often enjoy his Villa Shrimp Salad, Eggplant Parmigiana, Lasagna, and the 1/2 Muffuletta & Cup of Soup. They also love the Sangria, made fresh daily with a combination of freshly squeezed citrus & wine. Whether you’re visiting the area for a girls’ retreat or you’re a lake area native, there’s a restaurant to suit your tastes.